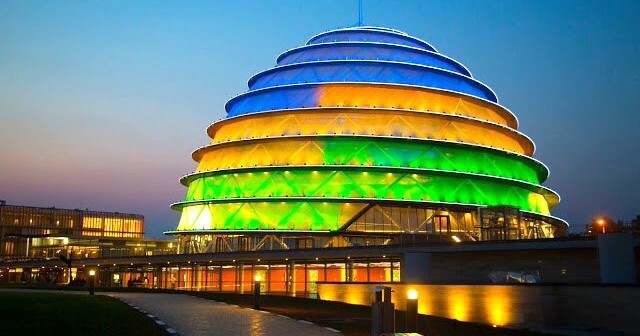 Rwanda Travel Tips; it is a landlocked country in central Africa also known as “the land of a thousand hills, lying 75miles south of the equator in the tropic of Capricorn, 880miles westward of Indian ocean and 1250miles east of Atlantic Ocean. The country with a land area with a land area of 26338 km2, is bordered by Uganda to the south to the north, Tanzania to the east, Burundi to the south and the Democratic republic of Congo to the west. in addition to the indigenous language of Kinyarwanda, English, French and Kiswahili are official languages. Currently, English is widely spoken throughout the country. Reaching Rwanda from your country, couldn’t be a big problem cause many international airlines connecting you to Kigali international airport from any of your departing point. these including: KLM, Rwandair, Turkish airlines, Ethiopian airlines, Kenya airways …etc. Visas are required by all visitors except the citizens of USA, Germany, Canada, Uganda, Tanzania, Kenya, Burundi and Democratic republic of Congo. Visa costs US35$ upwards depending on the place of issue, the visa application will be done online via Irembo website. The citizens of countries without an embassy in Rwanda can obtain a visa on arrival by prior arrangement with their hosts, who can arrange the facilities. The unit of currency is the Rwandan franc (Rwf). The value of US$1 is currently equal to 854Rwf in November 2017. It is very reliable and possible to use the cards (Master card or ATM card) all over the country, as many banks introduced the use of ATM Machines by adapting to the high technological progress of the country as there are many ATMs all over Kigali, in every bank branch, this is the cheaper way of getting francs use because the ATMs use a much better exchange rate than currency exchanges. these banks have many Branches all over the country, even in the rural areas, this make money withdrawal easier during the night time. Most banks and public offices open from 8am and close at 5pm on weekdays, But the Banks’ATMs are available 24hrs every day. During the weekend, Banks open from 8am and close at 2pm on Saturday, but they do not open on Sunday, while the public offices close on Friday afternoon for Mass sport which is compulsory to all public employees and do not open the whole weekend. Big Shops and hotels, open 24hours every day of the week. You will read from all online guides giving Rwanda travel tips that a yellow fever vaccination certificate is required and this very true! Much of Rwanda lies at too high elevation and is among the sub-Saharan countries, Malaria is great concern, but the disease is not highly present but the use of prophylactic drugs is strongly recommended before you come in Africa. It is advisable, to visit hospital when you are feeling weak with abnormal fever, closing windows and doors of your house or your hotel room at 5pm, sleep under the mosquito net, clear the bushes and removing stagnant water around your house or shelter for preventing the mosquito that cause Malaria, not to drink the tap water drink as bottled mineral water can be bought in all towns of the country. Rwanda can be visited throughout the year. Gorilla trekking and other forest walk are less demanding during the drier months. The European winter is the best time for bird watching, as Palearctic migrants supplement residents’ species. A pair of binoculars for Game drive, Bird watching and other Forest walks. A good field guide, that shows the checklist of birds of East Africa for instance; “Birds of East Africa” a field guide book That describe the bird species found in east African countries as well as Rwanda, Authored by Terry Stevenson and john fanshawe. Bring camera for photo shooting the beautiful sceneries of Rwanda, wild life and other events that take place during your stay in the country. Toiletries and other essentials can be bought in the cities. International business hotels exist in throughout the country especially in Kigali city. Many hotels, lodges and guest houses are available around the main attractions, and connected by well paved roads. The Rwandans have their favorite foods including: goat kebabs, cooked banana (Igitoki), irish potatoes (ibirayi) and sweet potatoes (ibijumba). While the favorite beverages including: Alcoholic drinks such as Urwagwa (local banana beer), Ikigage (sorghum beer), local industrial made breweries like Primus, Mutzig, Skol. And Nonalcoholic drinks like Umutobe (local banana juice), and sodas. You can get in touch with our tour consultants for more Rwanda travel tips and guidelines by emailing or calling us.